I am a great admirer of Mark Miller, and his website, Great Leaders Serve. In a previous post, I wrote about what I learned in his book, The Heart of Leadership. 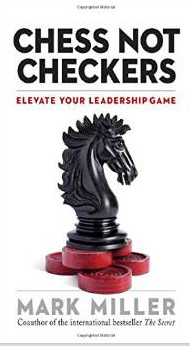 I was given the opportunity to read his latest book, Chess Not Checkers, and once again, I found Mark’s writings to be very valuable, especially for those of us who are looking to be better leaders. In Chess Not Checkers, Mark continues his fictional story of Blake, a newly appointed CEO of a small business that is failing fast. It has low morale and poor performing leaders. Mark uses the game of chess as a metaphor for actions that need to be taken by the leaders to improve the business. I read the book in about a week, reading about 30 minutes a day. 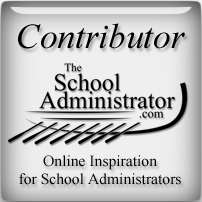 It kept my attention, but most importantly, I gained some great lessons on leadership that can help me as a school administrator. These are just a few of the quotes that I underlined in the book. Although Mark’s book is written for the business leader in mind, I believe it’s a book that school administrators will find very helpful and inspiring. I know I did. It’s a book that I wholeheartedly recommend. Check out Mark’s new book!